Home » audio books » CITIZEN INSANE Now Available in Audio! 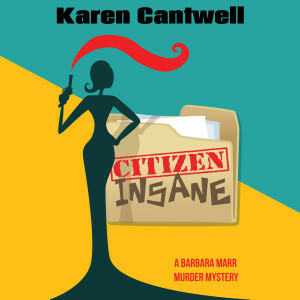 Posted by Administrator on May 31, 2014 in audio books, Barbara Marr, Citizen Insane | Comments Off on CITIZEN INSANE Now Available in Audio! I’m very excited to announce that the second Barbara Marr novel, Citizen Insane, is now available in audiobook format! Narrated by the incredibly talented Nan McNamara (who also narrated Keep Me Ghosted and Take the Monkeys and Run), this newest audiobook is already selling like hot cakes. I’m very proud of this latest project and hope you’ll take a listen to the free sample available at Amazon.com. CLICK HERE NOW. I hope you have a very wonderful day and remember to live, love, laugh!